For the first time, the complete story of a longtime spy inside al Qaeda is told exclusively by CNN’s Christiane Amanpour. 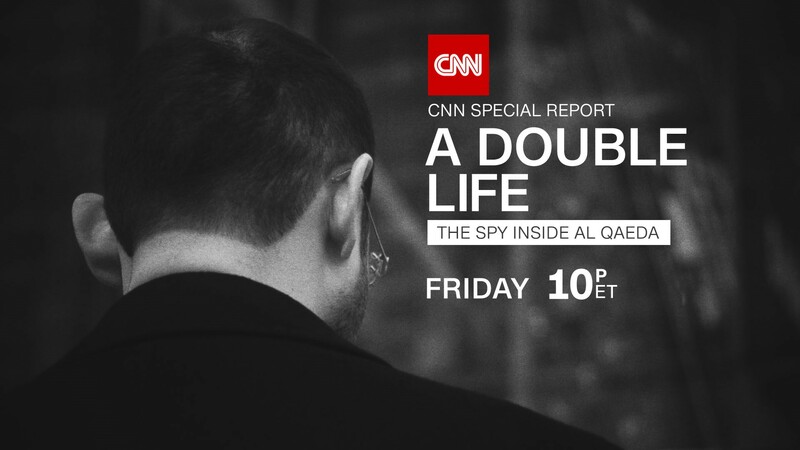 CNN Special Report: A Double Life: The Spy Inside al Qaeda airing on Friday May 25th at 10pm ET, reveals the amazing account of a former jihadist and member of al Qaeda who became a spy for the West. Aimen Dean was an idealistic teenager who embraced jihad and became an al Qaeda operative when he met and pledged loyalty to Osama bin Laden. After the bombings of two US embassies in East Africa which resulted in massive civilian casualties, Dean grew disillusioned with al Qaeda and eventually became a spy for the British intelligence agency MI6. As a secret agent inside al Qaeda’s chemical weapons program in Afghanistan and the group’s network in London, he was an extremely valuable asset to the West. During his time undercover, Dean alerted Western intelligence to chemical weapons plots targeting New York City subway commuters, American troops overseas, and drivers of luxury cars in London, potentially saving many lives. After 8 years as a spy, his cover was blown and al Qaeda wants him dead. A Double Life is based, in part, on a soon-to-be published book written by Dean with CNN terrorism analyst Paul Cruickshank, and CNN’s Tim Lister. A Double Life: The Spy Inside al Qaeda will also stream live for subscribers on Friday, May 25th via CNNgo (at CNN.com/go and via CNNgo apps for Apple TV, Roku, Amazon Fire, Samsung Smart TV and Android TV) and on the CNN mobile apps for iOS and Android. The documentary will also be available the day after the broadcast premiere on demand via cable/satellite systems, CNNgo platforms and CNN mobile apps. CNN Special Reports is the award-winning, in-house documentary unit focusing on in-depth and investigative reporting of major issues and events and the powerful human-interest stories that reflect our times.